When energetic entrepreneur Guy Earnshaw started brainstorming a name for his “exciting” and unique management consultancy, he couldn’t resist a popular puzzle. “I’ve always had an affinity for a Rubik’s Cube,” said Mr Earnshaw, who started Rubik3 in 2015. Since then, the IT-focussed management consulting firm has grown dramatically. The philosophy of Rubik3 – which has offices in Canberra and Melbourne – fitted perfectly with the hands-on cube, invented by Ern Rubik in 1974. “We focus on change management, business growth and efficiency – so Rubik3 is about analysing the complexity of a business, stepping back and making the business processes as simple as possible,” Mr Earnshaw said. Mr Earnshaw said the Rubik’s Cube also illustrated how a good professional services consultant should provide strategic problem-solving and simple solutions for clients. “We do a piece of work for a client, we finish it, we hand it back and hopefully our work is good enough that when they require those extra services, they come back to us,” he said. Rubik3 has become very agile in delivering successful client-focused outcomes after doubling in size year-on-year. It has a current turnover of around $11 million, a wide “spectrum” of large, medium and small clients and more than 90 highly motivated “top-shelf” staff. 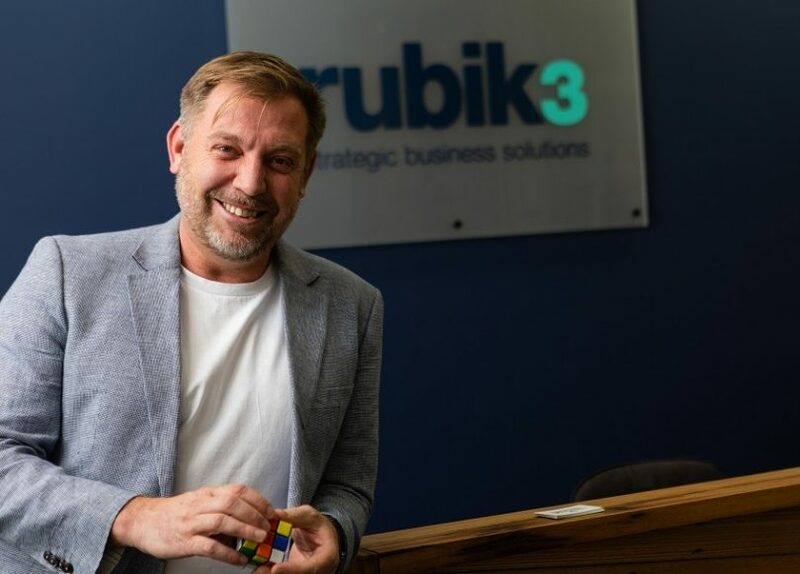 Mr Earnshaw – who has a background as an accountant and previously worked in senior roles in the Federal public service for about 16 years – said Rubik3 was about challenging and “energising” clients. “It’s about taking them on a pathway and creating a strategic partnership and looking at the value of a relationship over the long-term,” he said. The company’s ever-growing client base is diverse and includes public and private sector businesses across Australia. Importantly, Rubik3 was about offering services from a dedicated and consistent team of professionals. “We do it with a small team; the team you talk to you on the first day is the team you’ll be working with through the whole life of the project,” he said. Rubik3 has a dedicated and consistent team of high-performing professionals to support its clients. Photo: Daniella Jukic. An integral component of Rubik3’s work involves providing IT-focussed solutions. Nowadays, every business is an IT business and you can’t look at anything by itself as everything is intermingled,” Mr Earnshaw said. Another key focus of Rubik3 is change management and taking a business on a journey through change. “In change management, there’s a huge desire to fix things quickly but we understand that it’s all about the right thing at the right time,” said Mr Earnshaw, outlining that Rubik3 can create a tailored “road map” for clients. One of the most rewarding aspects of working at Rubik3 – which also offers personal wealth, taxation and accounting services – was hearing positive feedback from its clients, Mr Earnshaw said. “It’s great to hear feedback like: ‘You have changed their life’ and clients are energised about their business, that’s really exciting,” he said. Charity work is another cornerstone of Rubik3 which supports several local charities, that occurred on day one of the business. Rubik3 sponsors the Indigenous Reading Project, the Tara Costigan Foundation and the Tuggeranong Hawks Australian Rules Football (AFL) team. 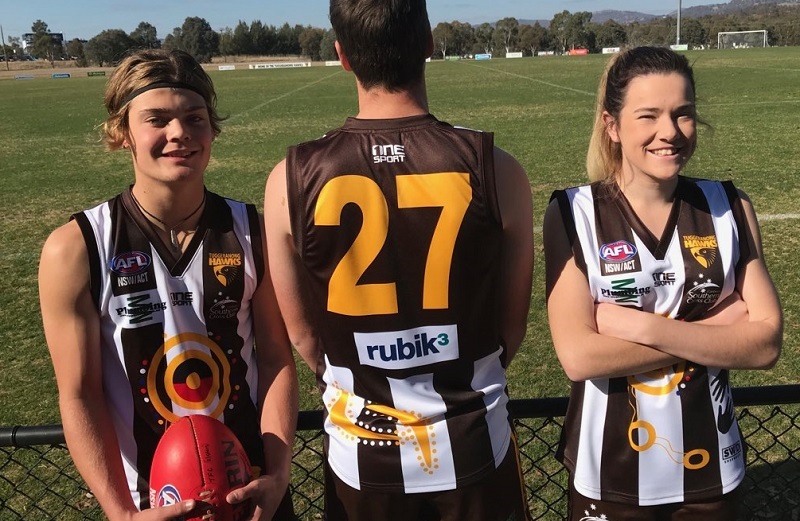 As part of its charity work, Rubik3 supported the Tuggeranong Hawks to have the first the Sir Doug Nicholls Indigenous Round AFL jersey in 2016. Photo: Supplied. As an AFL fan, Mr Earnshaw said: “one of my proud achievements” was being involved in enabling the Tuggeranong Hawks to have their first Sir Doug Nicholls Indigenous Round jersey in 2016. “It was amazing to see the pride in the players wearing the jersey,” he said. To find out more about Rubik3, visit their website or call 0420 330 167.